Animals are just so facinating. They are so diffrent from eachother and got a lot of colors and got so many abillities. This is really inspiring to me. Lately I happen to see a lot of birds in the garden again (because it's spring time :)). Thats the reason why I wanted a bird for this wallpaper. 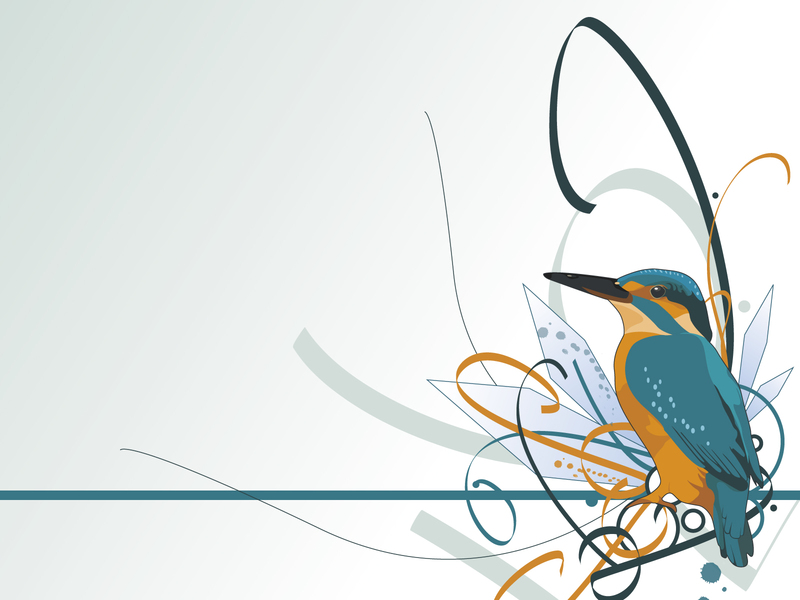 The King Fisher is a special bird to me. I think I never saw them in the wild, but they just look so pretty. The wallpaper is completely made by me in Illustrator. You can allways send me a message or comment if you got any ideas for a theme for a new wallpaper I can create. I might consider making it :). You can also tell me if you need an other size. King should be enough to tell about the wall� �I gave it a 10. I've taken several pics of them in the wild, the little buggers are hard to get on camera because they won't sit still for very long. The ones we have here in Florida are black and white.